It's not a taxi, but not yet a bus. 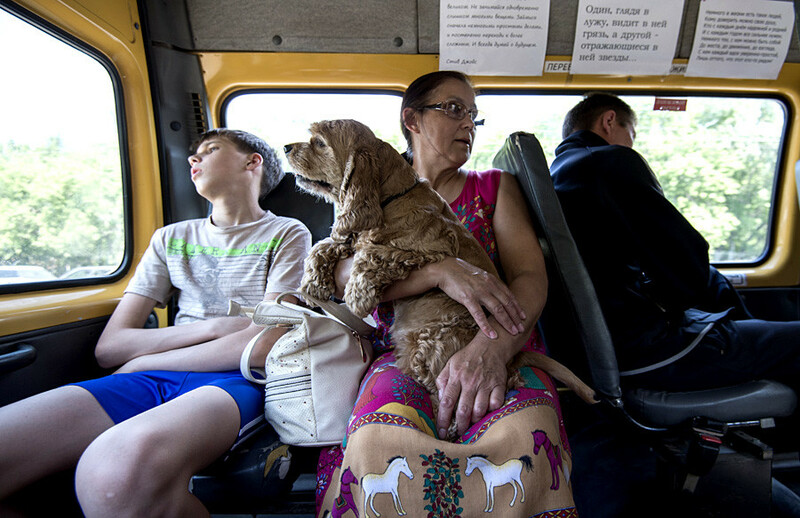 Get to know the rather odd and often extreme public transportation in Russia that beats traffic jams and helps when you’re late. The most common phrase you’ll hear in a marshrutka is: "Pass your money to the driver." That’s how to pay for a ride if you happen to be sitting in the back - by giving your money to the strangers in front of you and asking them to pass the cash or coins to the driver. This has even led to a new idiom and a joke when you find yourself in a friend's car, and he quips, "Pass your money to the driver." Marshrutka driver: hero or criminal? A marshrutka driver is a sort of superman: with one hand he drives, and at the same time shouts something into his mobile phone. With another hand he receives payment, unnaturally twisting his arm, calculating the total sum by weight and then hands back the change, shocking the passengers with his arm’s flexibility. All of this happens at high speed, sometimes becoming quite dangerous. A year ago the Moscow city government banned all private marshrutka businesses. Now there are mostly blue buses and mini-buses that you can ride by buying a troika transport card. But now marshrutkas have started to reappear again, connecting the city suburbs with distant parts of the Moscow Region. 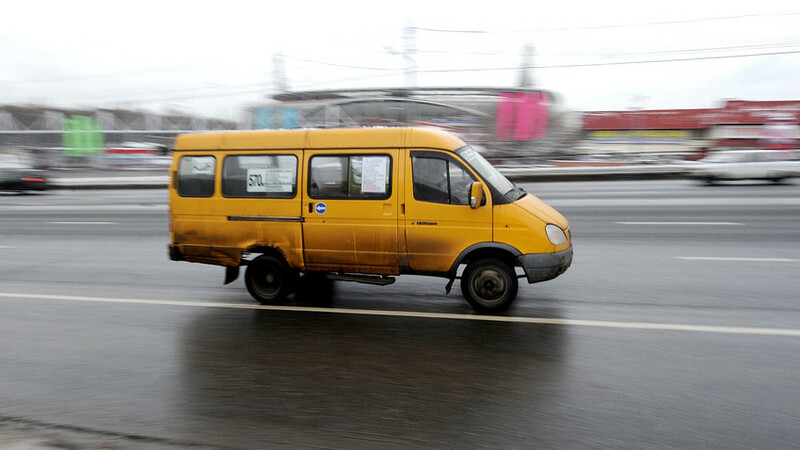 In most other Russian regions the marshrutka is still legal, and often there are many routes between neighboring regions that are much faster and cheaper than big buses or trains. Marshrutkas and their drivers are commonly mocked in Russian popular culture. For example, the information signs in these vehicles are often humorous, with texts such as: "10 minutes of fear and you are home. Roller coaster ride is 25 rubles;" or another that is inspired by the 1917 revolutionary logo: “Land to the peasants! Factories to the workers! Money to the driver!” There also can be warnings such as, "Don't slam the door, it can break off and fall on your foot." Since a marshrutka doesn’t stop at every bus stop, the driver asks passengers to shout louder when a stop is needed, otherwise he can’t hear you and you’ll miss your stop. The extreme speed of marshrutka driving is also a target for Russian humor, and the popular TV show, Comedy Club, somposing a song about a marshrutka driver participating in Formula 1 racing in Sochi. With "squeaking brakes" and "smoking tires" a Sochi resident leaves Fernando Alonso crying, overtaking him at a speed of 300 km/hour on the opposite side of a serpentine mountain road.